+ WSpinny renders wrong in mixxx 1.10 beta in Oneiric. I can confirm it on my PC. * QT Version Qt version 4.7.4. This bug occurs in unity and also in gnome shell. I checked also lp:mixxx #2941 on my eeePC with worse results. Instead of the spinny widget, an empty white box is displayed. 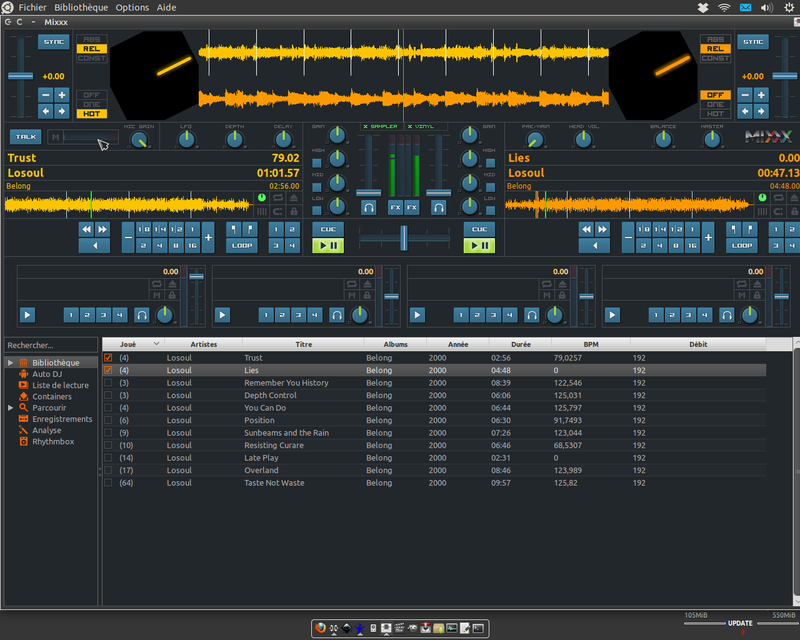 * QT Version Qt version 4.6.2. We should probably find a QT guru asap who can help troubleshoot this issue. It sounds like a deep-dark Xorg / QT / GL interaction. Can you guys who can reproduce try this skin? It's just a spinny widget and nothing else. I can't reproduce on Lucid amd64 on a Lenovo T400 with Intel GMA 4500MHD graphics card. I also can't reproduce in VirtualBox with an Oneiric amd64 VM on Mixxx 1.10.0 beta. This is likely related to Bug #792237 in which many widgets are white (Daniel reported WSpinny as white on his netbook which is probably confirmation of that bug). 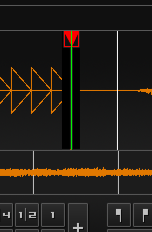 I just notice that the cue mark is also effected by this bug on system #3 with Deere Skin. All other Skins does not suffer the cue mark bug. And one important thing: outline skin displays spinny correct! The magic "QT_GL_USE_OPENGL1ENGINE=1 mixxx" solves this problem as well on system #3. The spinny an the cure marks are displayed correct now. Now I am on my System #4. The spinny is displayed white in a gray window. It is also displayed white in outline skin. Here QT_GL_USE_OPENGL1ENGINE=1 has no effect. summary: - WSpinny renders wrong in mixxx 1.10 beta in Oneiric. finally fixed in lp:mixxx/1.11 #3622.